Yes it’s true vinegar cleans paint brushes extremely well. I love using vinegar to clean my home. Vinegar and water is used to clean my windows, mirrors, bathrooms, counters and chandeliers. And you’ve probably seen my post on how to distress using vinegar.Vinegar is amazing isn’t it. I bet if you looked in the ingredients in most foods you’ll find vinegar. Vinegar is a disinfectant and it’s edible! So why am I sharing this? Well, I’ve stupidly forgotten about paint brushes, left them out over night and found them the next morning all dry and hard. If this happens don’t freak out I have a few solutions for you today. I usually use hot water to rinse and clean my paint brushes, but I heard about two techniques to clean paint brushes. One is using vinegar the other fabric softener. Let’s first talk about how vinegar cleans paint brushes. 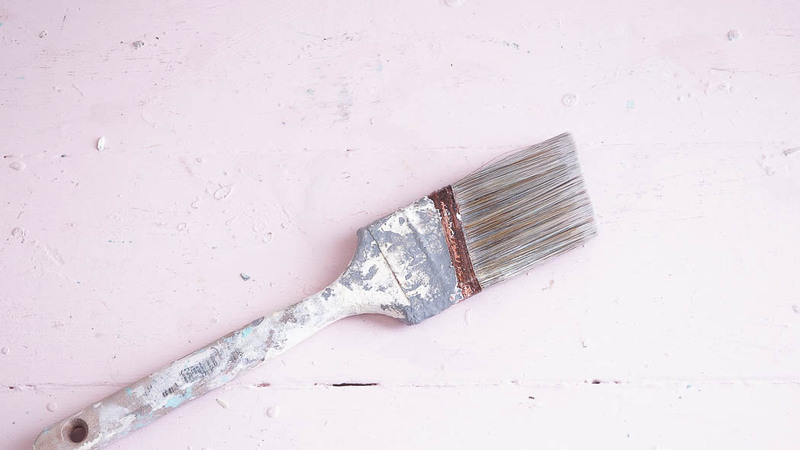 Here’s what you’ll need to do to use vinegar to clean paint brushes. 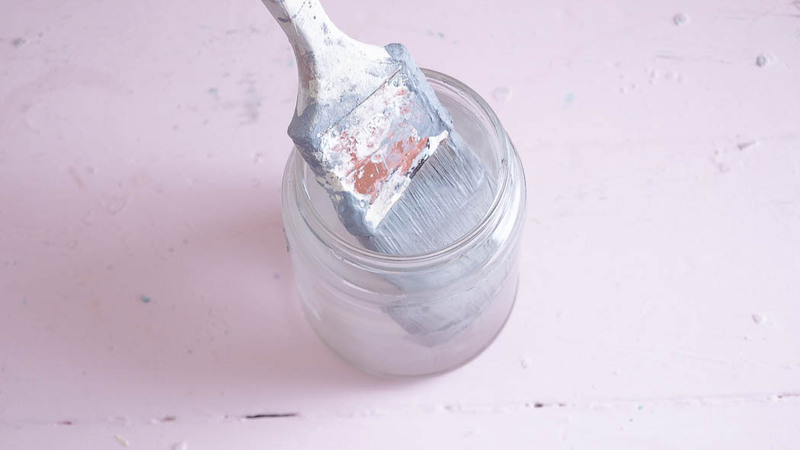 Get a clean empty jar, I always keep old pickle jars for painting and cleaning my brushes. In a microwave safe bowl, heat distilled white vinegar in the microwave. I heated mine for 1 minute. But it depends on your microwave, you want the vinegar to get hot. Place brushes into the vinegar. I clean my brushes one at a time, because I’m using a jar it’s too small to add more than one. Let the brush sit in the vinegar for up to 30 minutes, then rinse well. If you still have paint stuck on your brush, use this Painters comb to remove paint from bristles. Make sure that the brush doesn’t completely slide into the vinegar. 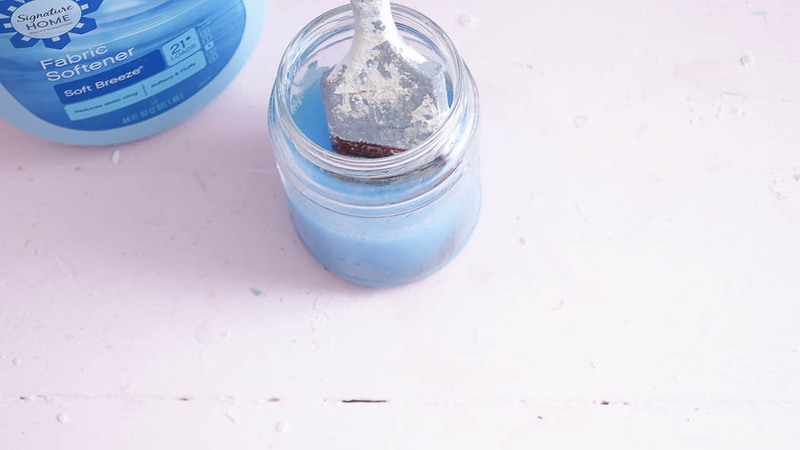 You may have to get creative with how your brush is sitting in the jar. But, the vinegar will rust out your metal part of your brush if it sits in the vinegar. I bet you didn’t know that vinegar cleans paint brushes did you? I have to tell you that this worked really well, but I still needed to try the fabric softener technique. If you don’t like the smell of vinegar and many people don’t another way to clean paint brushes is using fabric softener. Get a clean jar and put fabric softener inside , filling it up half way. Add your brush or brushes to the softener and let these sit a few hours or overnight. 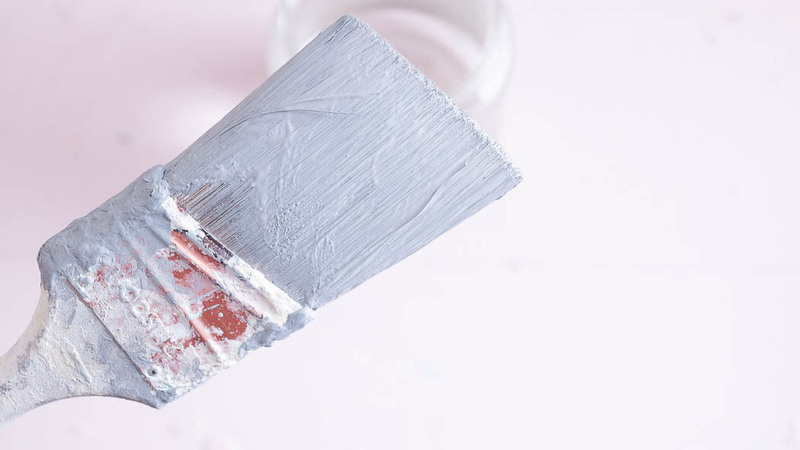 Remove brushes from softener, then using a painters comb, remove paint from the brush. Rinse paint brushes off and lay them on a towel to dry. 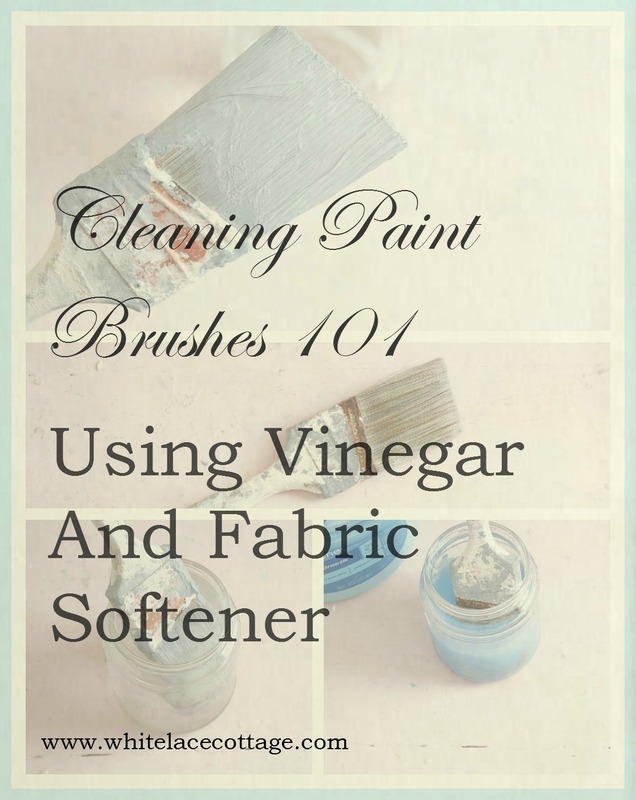 Besides using vinegar and water to clean paint brushes , fabric softener is a great alternative. Although I must admit, I thought that vinegar worked much better at removing chalk paint from my brushes. 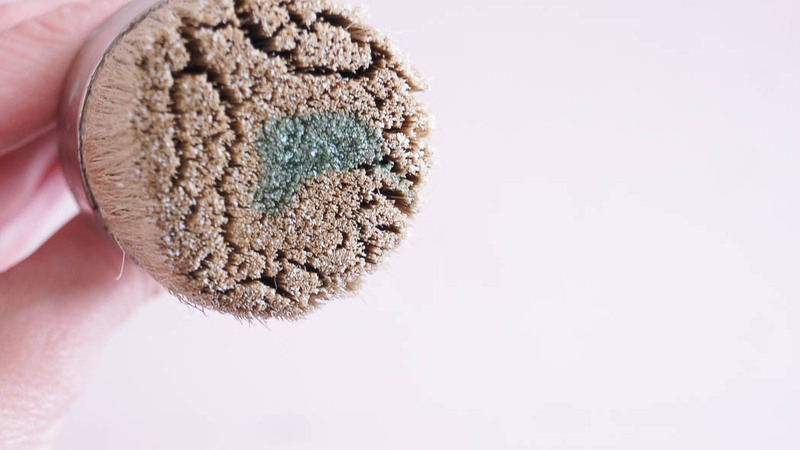 Let’s talk about cleaning wax brushes. If you use a wax brush to apply wax to your pieces you’ll want to know how easy it is to take care of your brush. 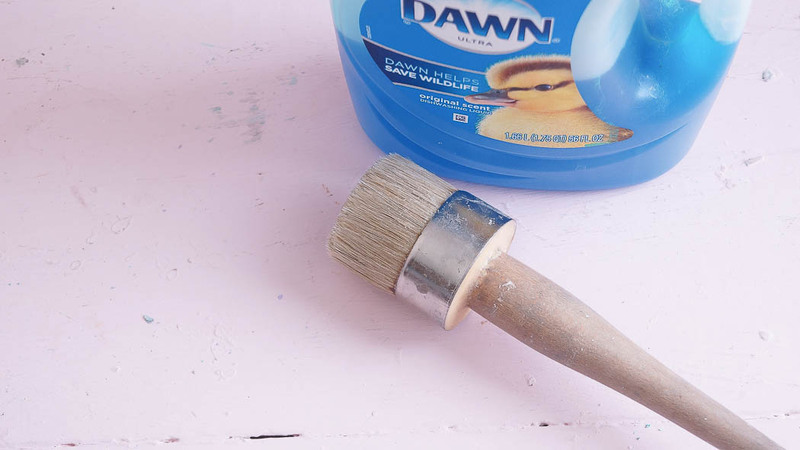 Using Dawn dish soap ad a drop of it to the tip of your wax brush. Dip your brush in water, you can do this under a faucet, I’m just sharing it this way because it’s easier for me to photograph. Work your brush in a lather, rinse and repeat a few times. 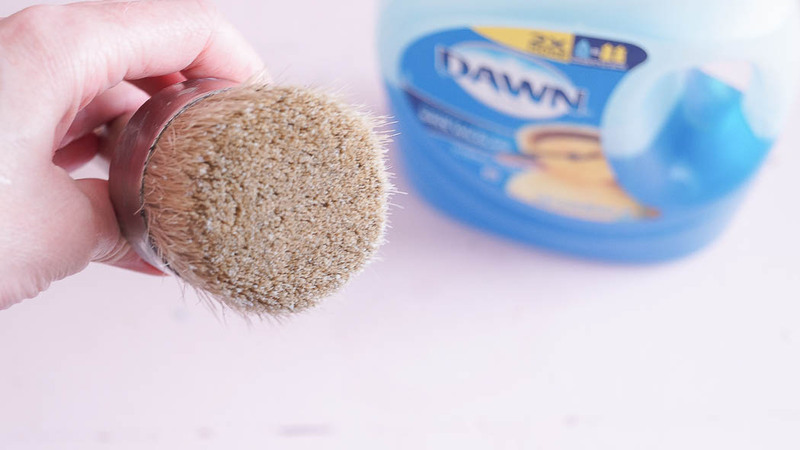 I’ve found that Dawn soap works the best for cleaning the wax off my brushes. Oh, I almost forgot, here’s one more tip! So, let’s say you’re painting, and you have to stop for awhile. But, you don’t want to rinse your brush off because you’ll need to paint another coat. Take your paint brush and place a baggie over it. This will help prevent the paint from getting hard. I’ve actually had a brush sit in paint overnight in a baggie and it never got hard. It’s not advisable to do, but I’ve done this without ruining a brush. And that’s it! I hope that these tips are helpful to you when your cleaning your brushes. Have you tried either method? If you have let me know your results in the comment section.